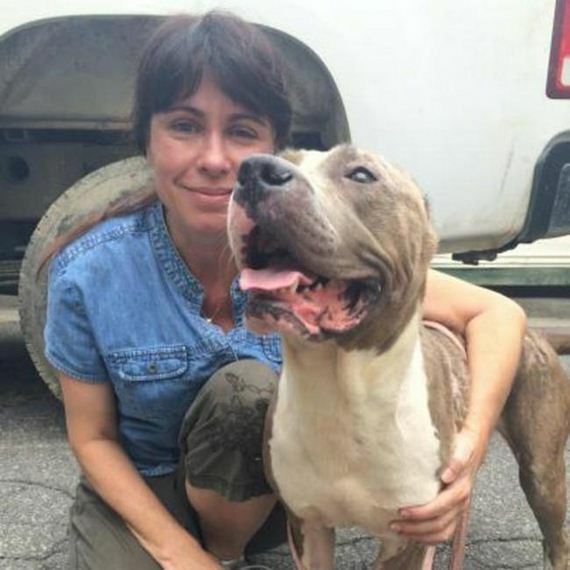 When Fulton County Animal Services in Atlanta, GA first found this precious Pit Bull, she had clearly suffered serious physical abuse. She was missing patches of hair on her head and body that would never grow back, likely due to acid burns. She also had terribly home-cropped ears. Conway wanted to do everything she could to help this special girl. Unfortunately, her breed, intimidating physical appearance, and older age made finding a forever home for the sweet pup extremely difficult. After having no luck at the shelter, Conway decided to take Diamond’s case to the Internet. 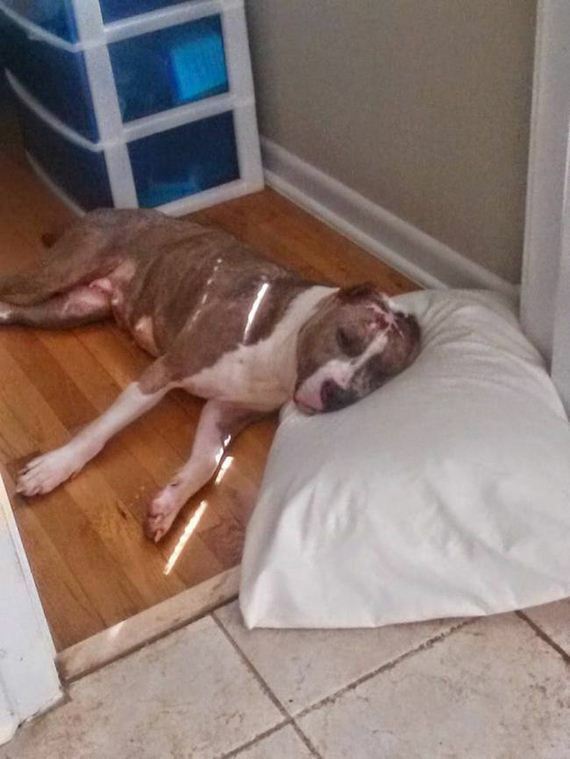 Diamond was finally in a forever home, but she still had a lot of recovering to do. 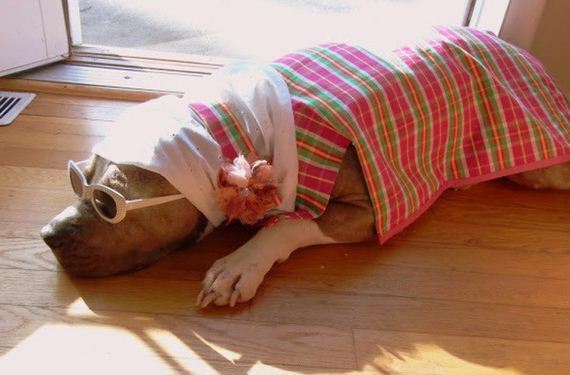 The poor pooch was fighting infection in her lungs and ears, she was seriously underweight, and the scars on her head and body would blister easily in the sun. By playing dress up! 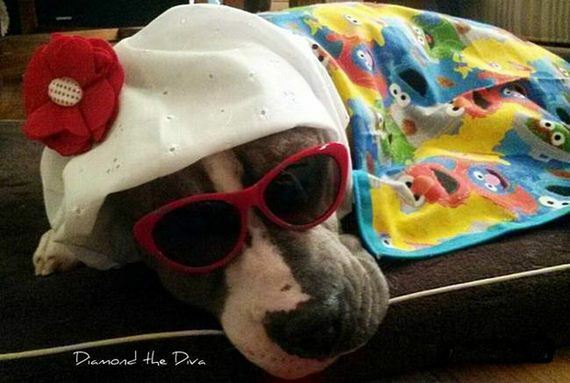 The Pit Bull loved her new looks and quickly became known as Diamond the Diva. Her closet has grown more impressive over the months. Patterns and faux fur now fashionably protect her delicate skin. 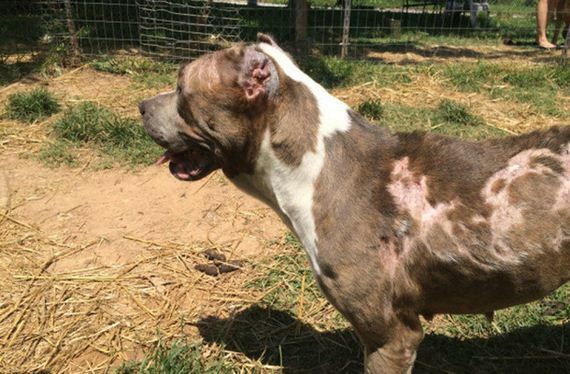 The page also spotlights other pups like Diamond who suffer even after their abuse has ended. McGuire was so inspired by her doggie diva that she now takes in more foster dogs. 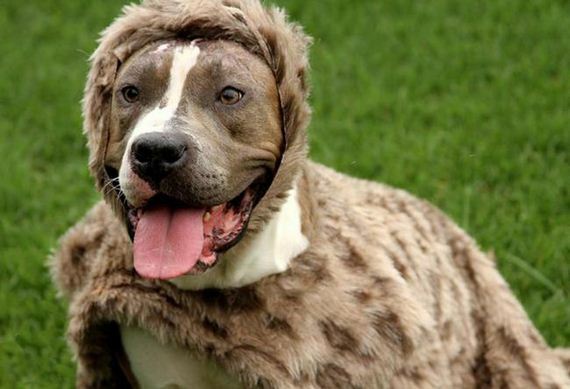 Watching Diamond’s beautiful transformation since her time at the shelter, Conway says she’s still inspired by how forgiving dogs like hers can be. “Despite the abuse and neglect they suffer, they still approach the world with such grace.” Something she thinks us humans could stand to do more often. 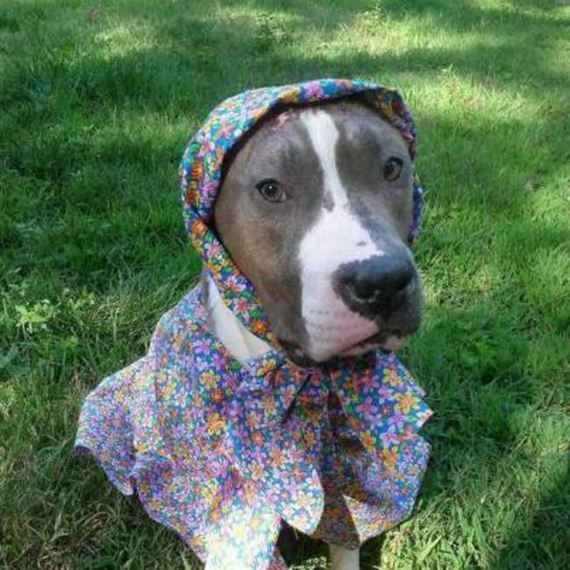 Be sure to check out Diamond’s Facebook page for even more adorable photos in her fancy duds and information on how you can help sweet dogs like her find health and safety.